This fun little creation has been lurking on my computer since back in April! 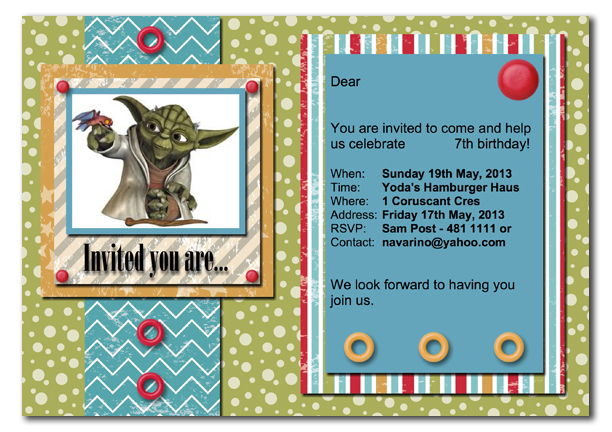 It is the party invitation for Master 7's 2013 birthday, and as you might be able to tell...he is something if a Star Wars fan. This invitation was created using Stampin' Up! 's My Digital Studio (MDS). I have been having a lot of fun with MDS lately. The possibilities really are endless! And last but not least...thank you so much for the comments on yesterday's post! I will reply later today. Right now I am going out to gently run 5-10 km. Have a lovely day!! Love your invitation!! I wish I could come round to your house for some MDS training!! Your son must think you are the best Mum ever!! Oh my goodness you are my hero! You're out running, and it's probably hot and sunny. 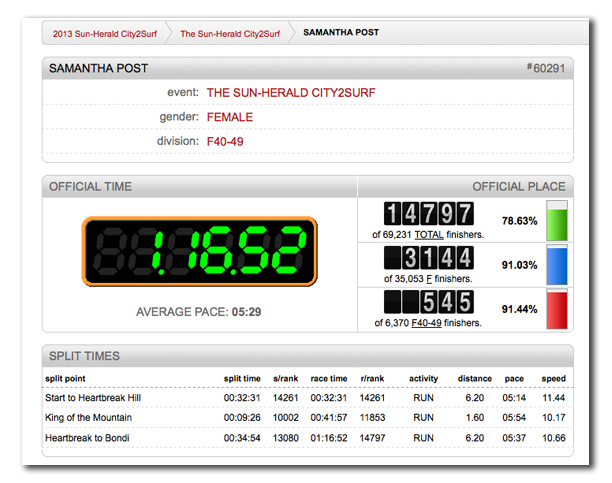 Do tell me how you got started on this running caper, would love to know how to do it and remain breathing at the end lol. PS: Great invite - I haven't even looked at MDS, bit scary and you know I'm hopeless at tech stuff. A lucky young man your son is! Blowing the dust off my neglected cyber-garden!